As a parent, we all hope that our child will neither BE bullied, or BE a bully. Communication is critical. 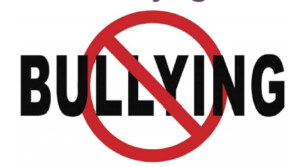 The Coeur d’Alene School District website includes information for Parents and Students on their Anti-Bullying Initiative, including a “Stand Up, Speak Up” section that includes a “Report a Bully” form, information about their online reporting system, in addition to their Policy on Bullying and a Parent Guide to Bullying PDF. These resources can be found at www.cdaschools.org/Domain/2000. Intervene immediately. It is ok to get an adult to help. Stay calm. Reassure those involved, including bystanders. When someone says or does something upsetting, but they weren’t trying to be hurtful and they don’t continue to act that way. When someone says or does something on purpose to be hurtful, but they don’t keep doing it. When someone says or does something on purpose to be hurtful and they keep doing it– even when you tell them to stop or show them you are upset.